I exited the taxi in traffic just steps from the famed Zocalo. As sunset hour approached in Mexico City, I decided to appreciate the people and energy of the vibrant capital on foot. But that evening I walked the historic Center with a purpose too. My mission – to confirm the Mexico City sunset location as part of my designed trip to the capital city on Stay AdvenTOURs and headed to el Mayor. I recently created a 4 day / 3 night Mexico City Travel itinerary to take people to capital and showcase one of the world’s best (and one of my favorites) cities. And as a sunset aficionado, I wanted to make sure we started evening one with a sunset moment. We will. I headed up to the rooftop cafeteria through a library and met Angie of I Like Mexico to view a Mexico City sunset from above the city and discuss tourism. With the chill in the air and my errant packing for this visit to Mexico City (I was coming through via a trip to Puerto Vallarta) I decided on a coffee instead of a cocktail. Mexico City’s high altitude makes it far from a tropical climate. 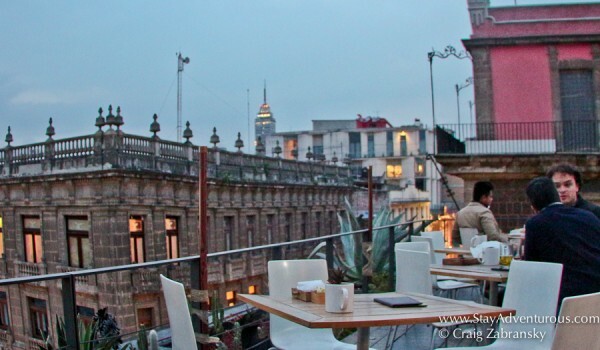 The coffee arrived quickly and then taking a sip, I watched the Mexico City sunset with views of the Zocalo and the excavated ruins of Temple Mayor, the original Aztec city center. I stayed warm lost in conversation during the day’s final light discussing Teotihuacan (day 2 on the itinerary) with my friend, now a licensed tour guide. Then I paused, took a moment as the sunset colors started to fade from the sky, I thought to myself, yes, I will take my tour here on November 5th. I can’t wait to showcase this city, hope you can join us too. For more information on my tour, please visit Stay AdvenTours and my itinerary here: Travel to Mexico City. Also, since I visited I noticed this location was featured in Departures Magazine – Mexico City Rising. I’m not surprised, soon this city will be very well known, I hope you take the chance to visit before its too popular. 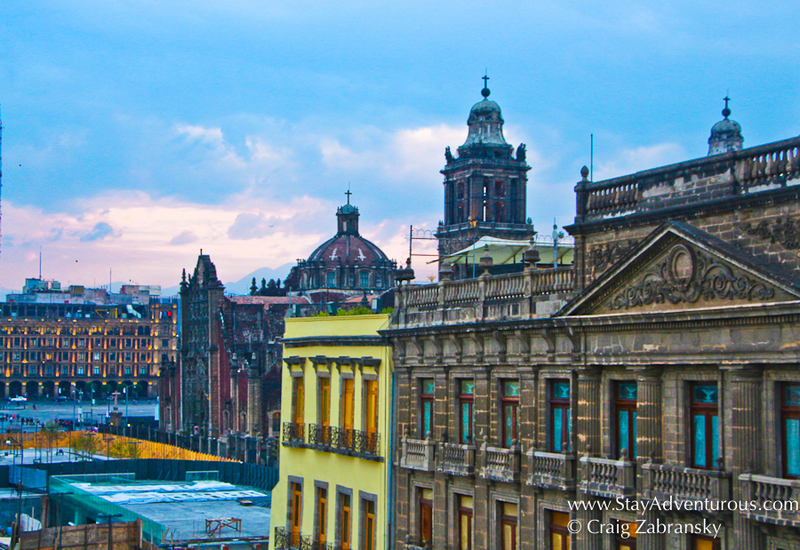 Mexico City is an amazing destination and a must visit if you love cities. I’m sure traveling with you Craig would be a wonderful adventure!